Want to build an online store that will engage more clientele and generate revenue, but don’t have any knowledge of web development? Well, in case you didn’t know, there’s plenty of ready-made solutions waiting for you to cast a glance upon! All it takes is to review a selection of the Top 10 Premium eCommerce Templates created for multiple online commerce engines such as Magento, PrestaShop, VirtueMart, Zen Cart, OpenCart etc. Just take a closer look at these professional eCommerce templates and choose the items that will fit your business concept perfectly! Ketty is one of the best Magento themes for building a fashion clothes and apparel online store. This Clothing Store Magento Theme has numerous features such as Megamenu, grid based content layout, retina ready images and modern typography to highlight the best offers in your online store. Fully responsive design, SEO-friendly features and cross-browser compatibility will help your business venture to create a solid online presence with minimum effort! 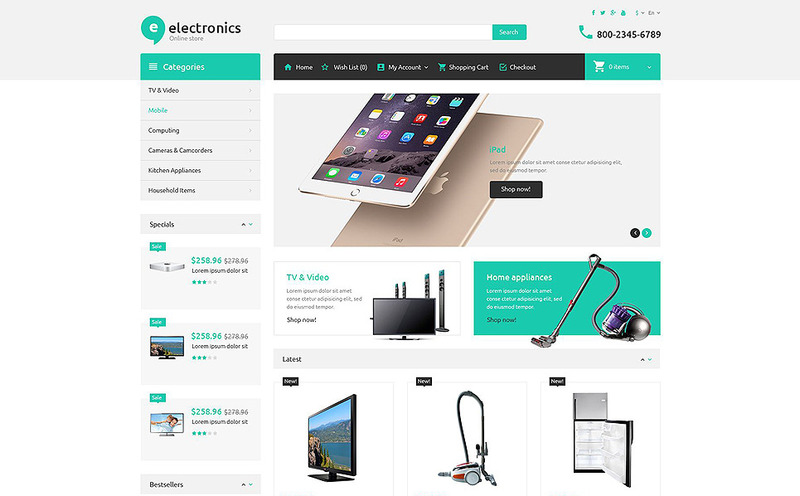 Electronics is a neat and straightforward electronic store OpenCart template that features Dropdown Menu, Back To Top Button, Drop Down Cart, Custom Page Templates, Social Options etc. Minimalist design allows visitors to find the products they want to purchase in the matter of a few seconds. The theme has a fully responsive design, which will make your online shop reachable from any handheld or desktop device of choice. 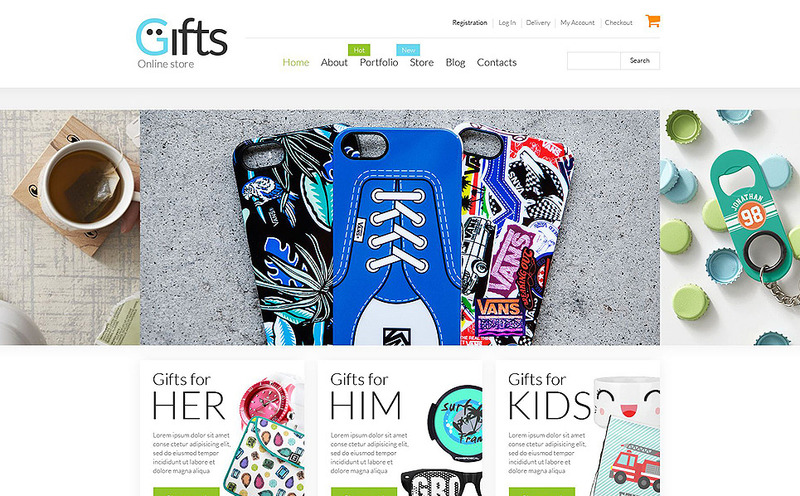 Take a closer look at Gifts – a clean, yet handy Gifts Shop WooCommerce Theme with a clever use of blank space that instantly draws visitors’ attention to the popular or bestselling items. A funny logo at the top adds extra cuteness to this layout. Top slider and big banners underneath it significantly improve the navigation. Three additional service banners are placed above the footer, containing the supplementary menu and round-shaped social media icons. 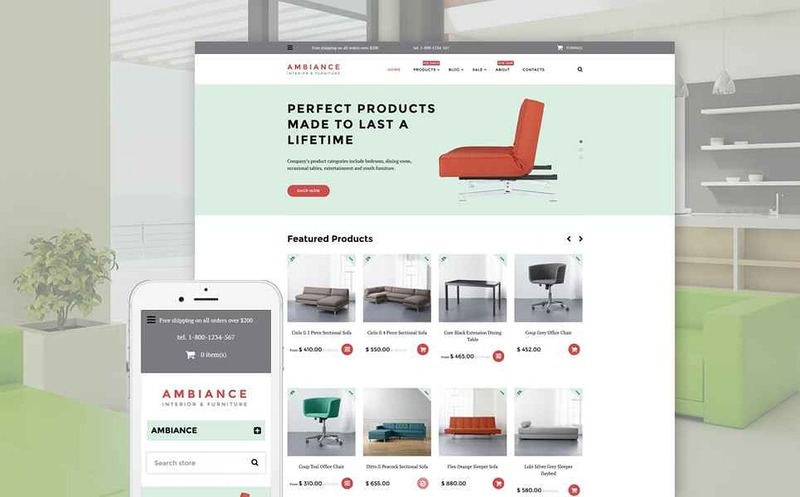 Ambiance is a mint-colored interior Shopify theme that comes loaded with an array of premium features that ensure an excellent performance and a sleek look of this website layout. Advanced Theme Options, Alternative Module Layouts, Commenting System, Custom Page Templates, Dropdown Menu, Social Options and other features will help users to adapt this interior Shopify theme to any type of store. Take a closer look at one of the best Shopify themes in our collection! 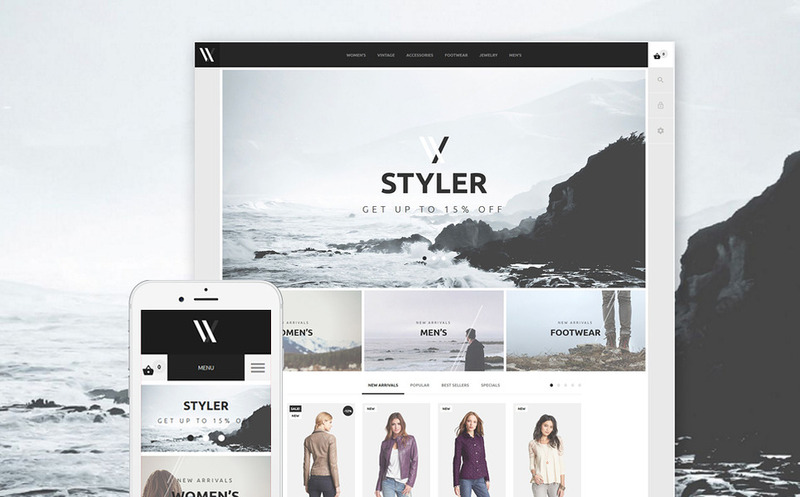 Styler is an absolute hit among clothes and apparel eCommerce themes. This versatile fashion boutique PrestaShop theme can be used as a wonderful solution for any kind of business. Plenty of premium features like Parallax Scrolling, Stick-to-Top Menu, Megamenu and more are provided alongside with the support of 5 foreign languages. It is also possible to share YouTube videos on the homepage. Don’t miss out on this gorgeous item! 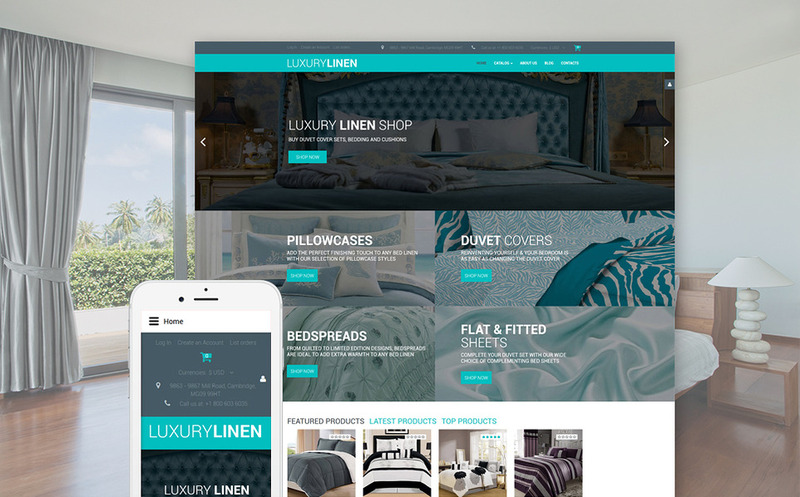 LuxuryLinen is a lavish Linen & Lace Responsive VirtueMart Template with abundant functionality. Among the features incorporated into this theme are Ajax Shopping Cart, Back To Top Button, Categories Accordion, Cloud Zoom, Commenting System, Custom Page Templates, Drop Down Cart, Dropdown Menu and many more. Due to its fully responsive nature and cross-browser compatibility, it is flawlessly rendered on multiple devices. 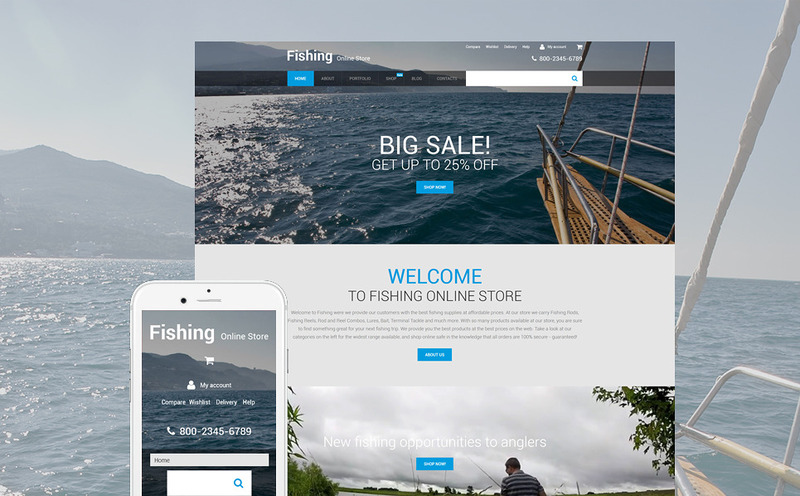 Fishing is a WooCommerce WordPress theme perfect for online shops that sell all kinds of gear for sports and hobbies. Large images with Parallax scrolling effect add depth and create a 3D illusion while transparent Drop Down Menu with category badges, advanced Social Media options and other features let users modify this theme the way they want to. It is possible to extend this website layout with extra plugins compatible with WooCommerce Themes, if needed. 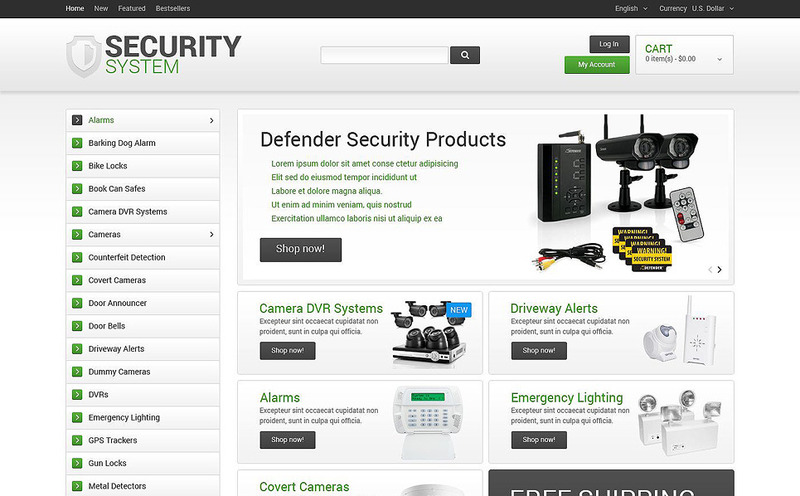 Security System is a modern and attractive osCommerce template for an online store selling security products, alarm systems etc. Thanks to its fully responsive design it renders flawlessly on both desktop and mobile devices. Among the easy to use features included into the package are Commenting System, Drop Down Cart, Dropdown Menu, Favicon, Google Web Fonts, Social Options, Tag Cloud and more. Just hit the live demo button to try it! 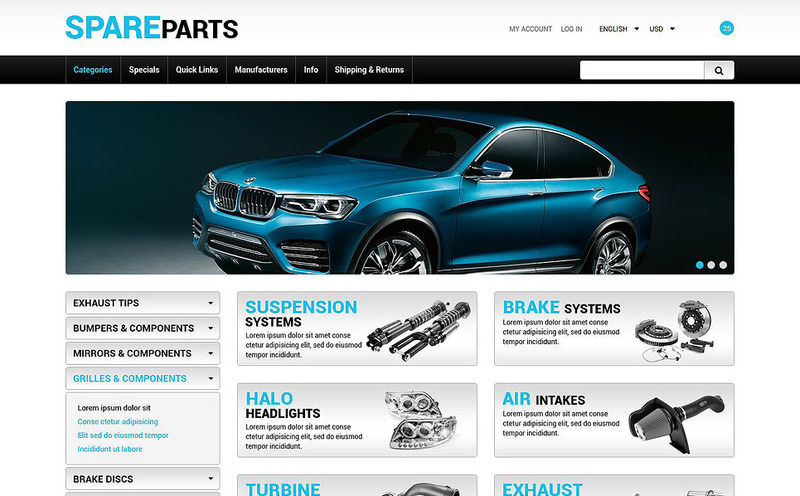 Spare Parts is a perfect example of clean and straightforward mechanic Zen Cart template that can be used for establishing a car parts or car service online store. Well-structured layout boasts a number of features like Commenting System, Drop Down Cart, Dropdown Menu, Social Options and more. Due to its fully responsive design, this Spare Parts ZenCart Template is totally scalable for any screen size and resolution. 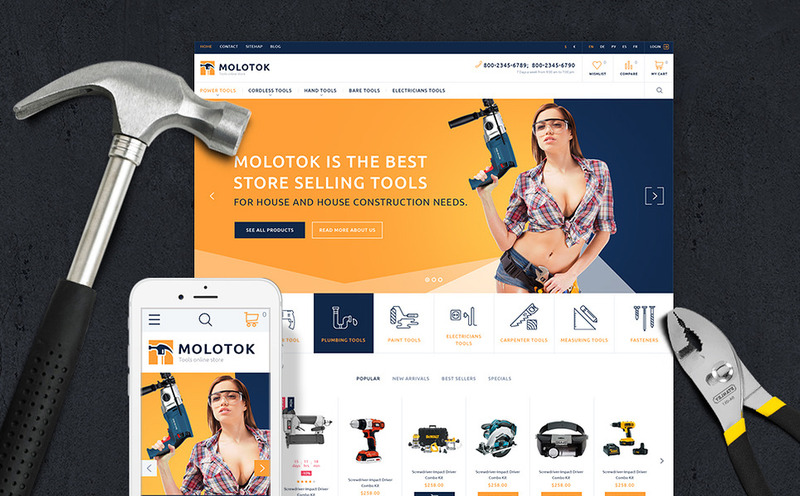 Molotok is a brand-new Power Tools PrestaShop Theme that is an optimum solution for online shops selling hardware, tools, equipment, sport and travel supplies etc. Be at liberty to place various types of content on one page thanks to the fully responsive, grid-based layout structure. Moreover, this theme has advanced TM modules like TM Newsletter, TM Homepage products carousel, TM Mega menu, TM Manufacturers block integrated. Therefore, you won’t have to spend extra money on premium PrestaShop themes modules. Now you know that only the best looks and functionality are combined in every single eCommerce template by TemplateMonster. Thanks to the fully responsive design and cross-browser compatibility, an online store built on the basis of any of these themes will look flawless irrespective of the device and screen resolution your clients may be using. Among the other advantages of these templates are shopping cart design variations, user-friendly navigation, site-wide search options & filters, informative product description pages and other premium features. This entry was posted in eCommerce, Opencart Templates, PrestaShop Themes, Shopify Themes. Bookmark the permalink.